These little gems might be my new favorite cookie bar. 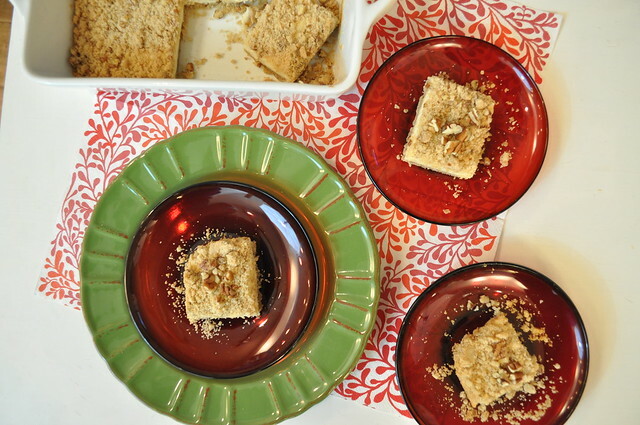 They’re the perfect balance of buttery, nutty, cheesecakey goodness. Bring them to your next party or a work event and people will be so excited that these are outside of the normal cookie rotation! 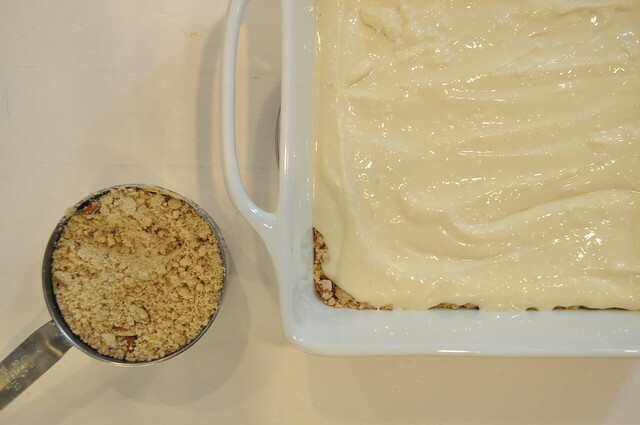 Combine butter and brown sugar and cream until smooth. 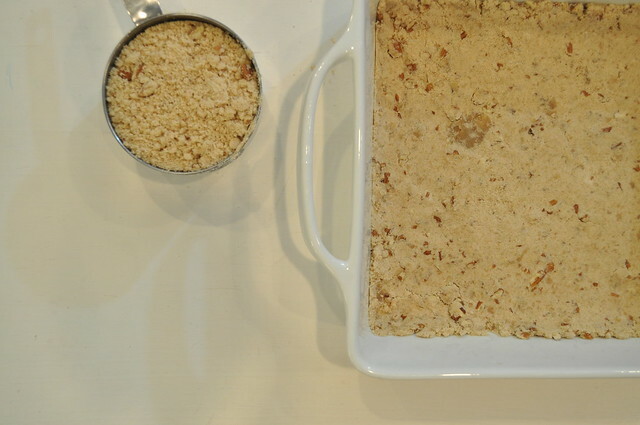 Add flour and nuts and mix until crumbly. Measure 1 cup topping and set aside. 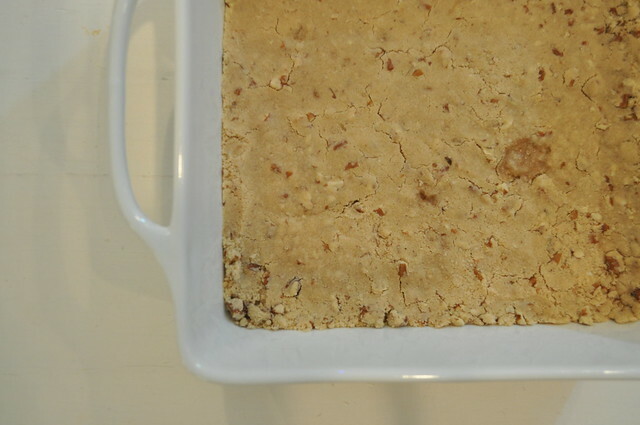 Press remaining mixture into an 8″ x 8″ pan and bake 15 minutes. 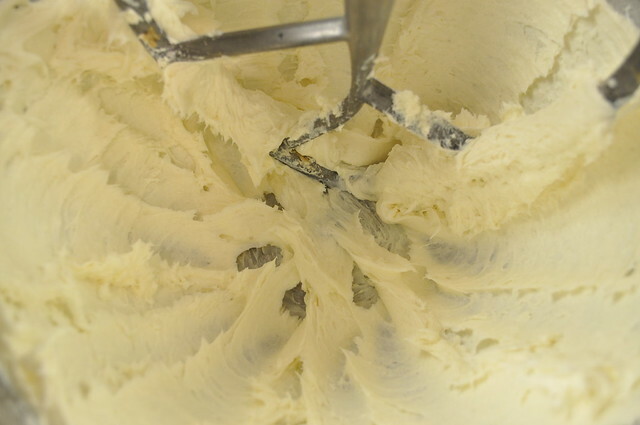 While the crust is baking, mix granulated sugar and cream cheese in mixer until smooth. (Don’t stop early as you can’t fix it easily later.) 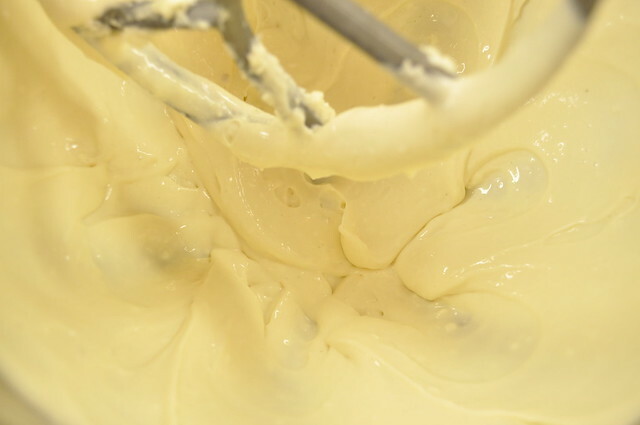 Then add egg, milk, lemon juice and vanilla and beat until smooth. Remove crust from the oven. 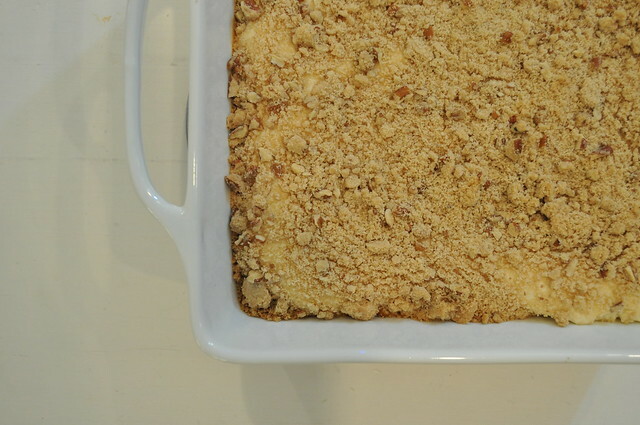 While the crust is hot spread cream cheese mixture over baked crust and sprinkle reserved topping over the top. Bake at 350 degrees for 25 minutes. Cream the butter and sugar. 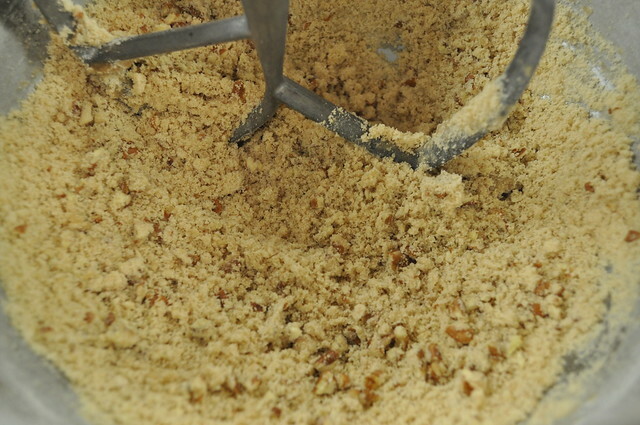 Then add the flour and pecans. 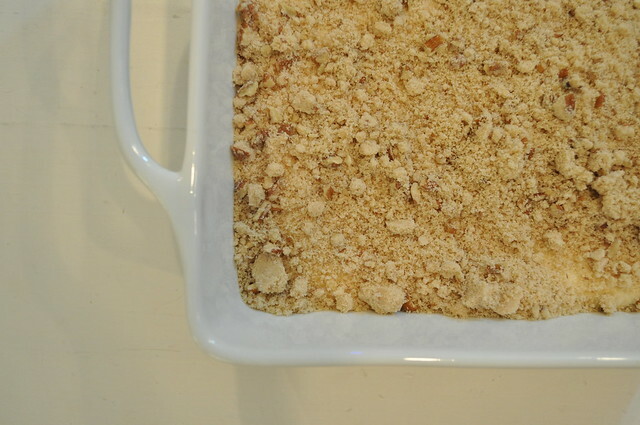 It’ll look crumbly just like this. Reserve one cup and pat the remainder into the pan. 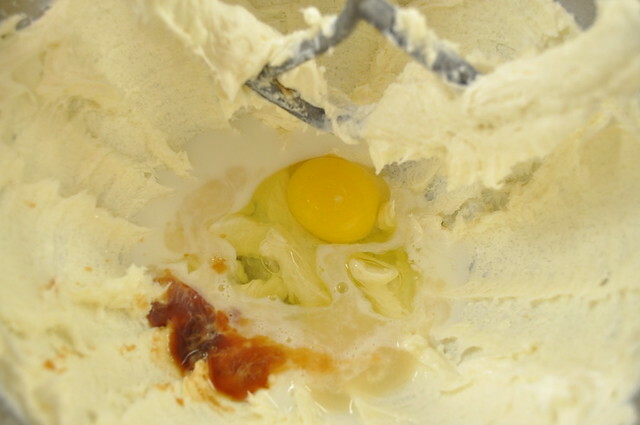 Add the egg, vanilla, milk and lemon. After its been baked it is ready for the cream cheese filling. 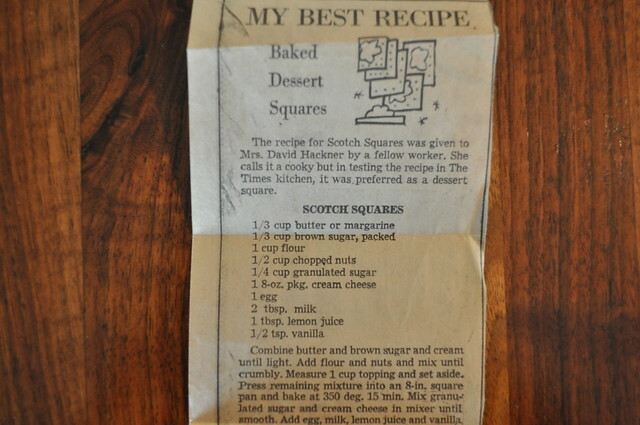 Are you more a pecan sandy fan, cheesecake fan, or scotch square fan?